The font used for the film title in the poster is Gotham Bold, which is a geometric sans serif by American type designer Tobias Frere-Jones in 2000. For details about the typeface, you can visit typography.com. 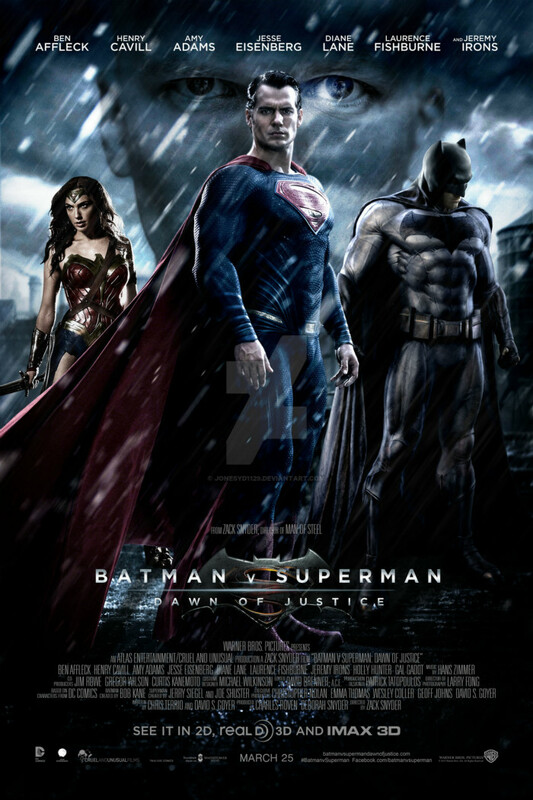 In addition to Batman v Superman, Gotham typeface is also used in the following logos, movie posters or album covers etc., including: The Giver, The Fighter, The Phantom Pain, Flipped, The Kissing Booth, Making A Murder, Bravely Second, Bridesmaids, Hobby Lobby Logo, Sully (film), All She Can, Open Happiness, H1Z1 (video game), Food Inc, Miss Movin’ On.